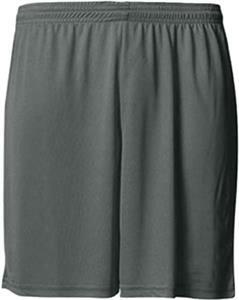 A4 Adult 9" Cooling Performance Athletic Shorts. 100% polyester interlock. Moisture wicking. Odor Resistant. Stain Release. Ultra tight knit resists snagging. Covered elastic 1.5" waistband with inside drawcord. Cannot believe the fit of these. Matches perfect per size chart.